Imagine you’re driving down the roads of D’Iberville, Gulfport, and Hattiesburg and suddenly your engine starts making a funny noise. After you pull over, you realize your car won’t start again. Unfortunately, this scenario is an all-too-common result of something going awry under the hood of your vehicle. However, avoiding this situation is as simple as seeking out regular part replacements and a state-of-the-art service center. 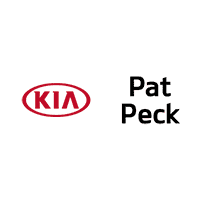 And at Pat Peck Kia, we’re committed to providing you with the genuine Kia parts you need to keep your automobile performing at its best. That way, you’ll never miss out on another exciting family adventure. Your vehicle is an intricate collection of items that work together to move you over the road. If one of these parts fails, it can affect the functionality of your entire automobile. So, to ensure that your car stays in top-notch shape, genuine parts are essential. Luckily, the trained technicians at our parts center come armed with a variety of authentic Kia accessories. By supplying your ride with high-quality components, you’ll drive knowing that you won’t experience unexpected breakdowns, spontaneous leaks, or any other type of inconvenience. On top of that, our skilled mechanics make every repair and replacement with industry-leading tools and machinery. So you can trust that your vehicle will receive the appropriate care and attention to detail during every procedure, be it a routine checkup or an emergency replacement. In addition, our staff presents a collection of ever-changing and competitive specials on different Kia parts throughout the year. Take advantage of these exclusive incentives by checking out our current list of offers to see if the part or service you need is included. To make your search for the right Kia part even more enjoyable, we’ve designed several tools, all of which help you snag the item you need. For example, our handy Order Parts form, under the Service & Parts dropdown menu, allows you to quickly enter a few details about your accessory and submit them to our service department. After we receive your request, we’ll keep an eye out for your order and let you know when it has arrived at our center. Looking for a fresh set of tires for your car? If so, feel free to visit our Online Tire Store where you can enter some information about your automobile and quickly find the tires that match. After you select the tires you want, all you must do is choose your preferred date and time of installation. From there, our team will contact you to confirm your appointment. If you’d prefer to reserve a general appointment for a spark plug, brake pad, or engine oil replacement, simply head over to our Service Scheduler. Our technicians will gladly arrange your appointment and remind you before it’s time for your visit. Visit Our Parts Center Today! Your family deserves to be supported by a squad of service specialists. 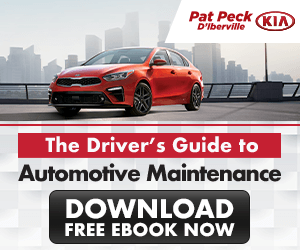 So, when you think your vehicle may need a part replacement to effectively course over the roads of D’Iberville, Gulfport, and Hattiesburg, be sure to contact us at Pat Peck Kia today! With our expertise, you’ll always know that you’re operating a vehicle that’ll never fail to perform like a true champion.